Picture this: you’ve descended from the graduation stage, rolled parchment in one hand and lingering warmth of the dean’s slightly-sweaty grip in the other. You rightfully congratulate yourself for an era of your life well done, and make your way out of the Chan Centre. After thanking the ushers and shrugging off your ceremonial robes, two thoughts hit you: you’ve just lost your Spotify Premium student pricing and you’ve got to figure out what the hell comes next, for … forever? Yikes. Dear Pawan, I’m graduating this year and I’ve never really read The Ubyssey before. Grad scares me and I don’t like leaving UBC, but I have to. My friends, my colleagues, my everything is here. I don’t know how to prepare for whatever is out there. Before I get to giving any advice, academic integrity says I have to disclose my sources and the way I went about preparing to answer this huge question. I consulted with a variety of folks who will be crossing stages and throwing caps come May, so I can try to tackle a variety of questions and worries that surround the big “what comes next?” As always, remember this advice is somewhat superficial, but can be carefully applied to your own circumstances if you’re cognizant. When asked about post-graduation fears, the most common answer I received was one of losing the structure and sense of purpose being a student provides. One person spoke of the fact that, by the end of your bachelor’s degree, you’ve likely been in schooling for almost 20 years, usually with no time to yourself beyond the few months of summer break. Where jumping from high school to university gives you marginally more freedom, that seems more like crossing a puddle when compared to the chasm between university and the world beyond. “Redefining yourself” is unique because it seems no term can elicit the same urge to roll your eyes while simultaneously elevating your heart rate to the heights of terror. Throughout your life, you’ve slowly been developing yourself with your favourite hobbies, the company you keep and the bits of entropy that latched onto you. As it turns out, a lot of those developing factors came from those endless hours you spent in primary and secondary school as you learned about what the world has to offer. Post-secondary has been a bit less restrictive with a bit more reading, but largely equal in its ability to shape your personality. So, seeing as you’ve put just about two decades into creating your identity, I have to ask: why does that need to change, after you’ve thrown your grad cap? You’ve been into drama since grade school, you’ve been into gymnastics since diapers or you’ve written for a hyper-local newspaper religiously for years. Why does the passion that lies at the heart of those activities have to evaporate once you’ve gotten that diploma? This continuity may seem naive of me to believe in, but I implore you to cast your mind back to the weeks leading up to your arrival at university. You wondered “Do college kids talk differently? “Is joining a club lame?” “How the hell do you make friends in a lecture of 300?” These are all thoughts that crossed my mind before I landed in YVR and, looking back, I find them laughable. Though despite seeing that time as archaic, I understand why I was anxiously trying to predict what the next four years – practically forever in my eyes – were going to look like. That’s exactly what you’re doing now. Trying your best to understand what a life without ‘structure’ is something you’ve been thinking about since you stood outside your kindergarten classroom, your first day of that summer job, your hand on the door to that first-year lecture and now, as you’re making your way out of the Chan. Your adaptability has been tested in the thousands of ‘firsts’ you’ve experienced and this time is no different. It might feel like it’s an impossibly large world you’re going into but, just like before, you’ll soon grow to be just as big. “How do you deal with the idea that your friends won’t continue being your friends?” That was the last question in my interviews and following that, there was always a few moments of silent reflection. Some people responded in an upbeat way, insisting school hasn’t had a big effect on their social development; others responded more morosely, seemingly resigned to travelling diverging paths and seeing an inevitability to those relationships ending. Either of these responses are great. Just like your hobbies, the company you keep proves to be just as capable of affecting you, if only a bit less predictable. From the minute any relationship starts, a seed of influence starts budding in both people with its growth hinging on the relationship. Appreciating your friends and examining the details of your relationship is to take more care in how the plant is doing and what can alter how it grows. Proximity proves to be the most reliable way of finding and maintaining a relationship, and constant contact with someone can be reflected in how attached to them you feel. Graduating seems to promise a swift end to that plant by way of severing all connections with that. How could you stay friends with someone when you’re no longer on the same continent? Also, what has been the point of committing so much time and effort into growing those relationships if they’re doomed to expire? The value you place upon a connection with someone is directly correlated with the effort you put in to maintain it. If you drift apart, it’s because there’s a disconnect between yourself and the other person that needs to be addressed if you wish to stay friends. Specific to graduation, it’s the same story with a few caveats. Sometimes, the comfortability you feel in class or with a friend group is hard to pinpoint. No single person in that group is responsible for that atmosphere, it’s more akin to a process being greater than the sum of its parts. The breaking down of these ‘parts’ through graduation is a unique loss because it feels impossible to restore. Getting six people onto a Skype call seems untenable, especially when everyone used to naturally gravitate together a few times a week for lecture. Fighting this seemingly undeniable end is where you have to lean into the affection you all have in more concrete ways. Where before you could just hang out with those friends and all have an implicit understanding of trust and appreciate appreciation, that’s something that becomes harder when the physical aspect is removed. You have to consider what was once the “extra mile” of overtly expressing your appreciation is now the new norm. For the second question, where some cynicism shines through and you feel a futility in forming relationships that seem to have expiration dates, I ask that you combat your nihilism in favour of enjoying the moment. Something does not need to last forever to have value. That seed of influence in every relationship doesn’t wither away as soon as you stop talking to someone. You can enjoy the time you’ve spent with someone and value their contributions to your life without those positive additions being marred by the fact that, as life continues, paths diverge. There’s an almost endless revolving carousel of people who will have an impact upon you and, while some stick around for longer than others, appreciating the larger process and the positive contributions those people have made makes it so their work isn’t in vain. The last part of this article is meant to be a platform for appreciation. UBC students have been asking me questions for over a year and now I want to ask one back. If you could give a piece of advice to someone who’s trying to make the most of their university experience, what would you say? Go to ubyssey.ca/advice to anonymously send in a short piece of advice you would give to another student or your first-year self. 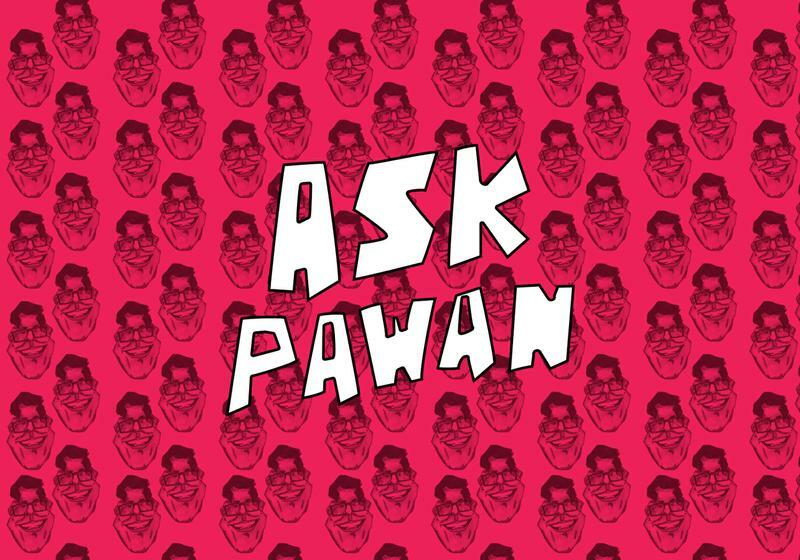 I will feature the best, the most unique and the most eyebrow-raising in the next Ask Pawan! Finally, I offer my sincerest thanks to the graduates who lent their voices to help me understand that which is unfamiliar. Jenna Cleyle, Lucy Fox, Samantha McCabe, Marina McDuff and Moira Wyton: I won’t wish you luck because you’ve got more than enough talent to make your way, but I appreciate all that you have done for myself and those blessed enough to be around you.